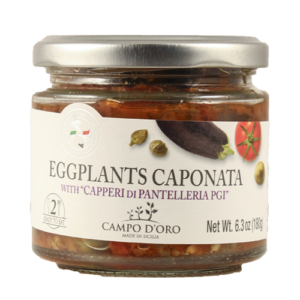 CONDIMENTS Archives - Lettieri & Co.
From the heart of Sicily, this gourmet line of tapenades and spreads mirror traditional Sicilian cooking. 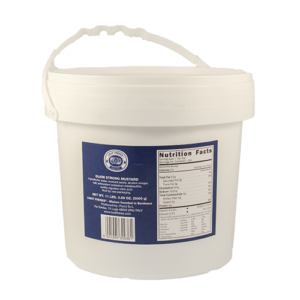 All the ingredients are promptly packaged after harvest to retain the quality and freshness. No Additives or Preservatives, ever! 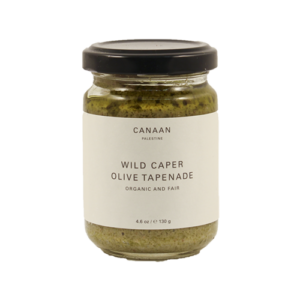 This unique tapenade captures the flavors of Palestine by blending organic Nabali green olives with organic caper berries, Organic & Fair Trade olive oil, lemon juice and spices. 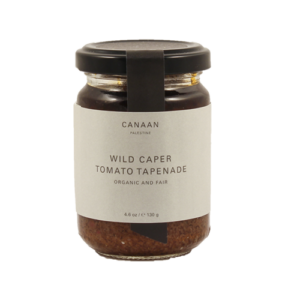 Tangy and fruity in flavor, complex in texture, this tapenade has the distinct flavor of the Nabali olives. 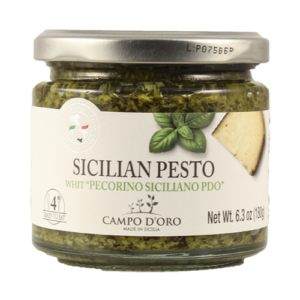 Use as a spread or dip with crusty bread or crackers or toss with warm pasta. 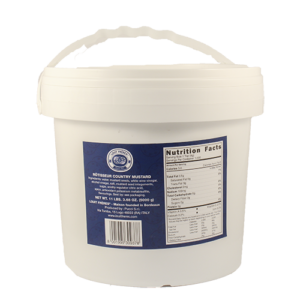 Instant gourmet taste when spread over grilled or baked fish or meat! Palestinian tomato varieties like the Mandawi and Khalili are succulent with a unique, rich, robust, and subtly sour flavor. These tomatoes are carefully selected, washed, and sun-dried by women-owned cooperatives. 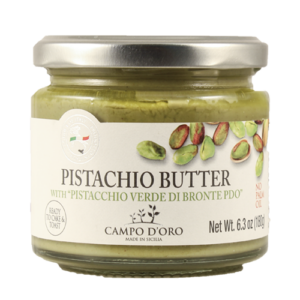 They are then blended with wild capers and organic olive oil. Serve as a dip or spread on crusty bread or crackers. 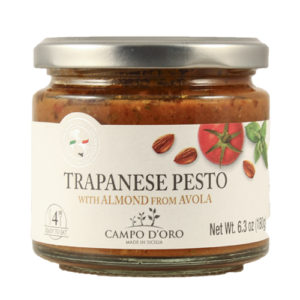 Toss with warm pasta, or spread on fish or meat and grill or bake for an easy and elegant meal. 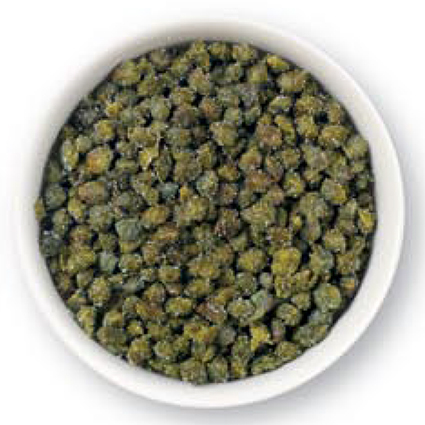 Many chefs prefer capers packed in salt, as opposed to brine because the dry salt pack's ability to maintain the caper's piquant flavor. To use, wash the capers in cold water to rinse off the excess salt. 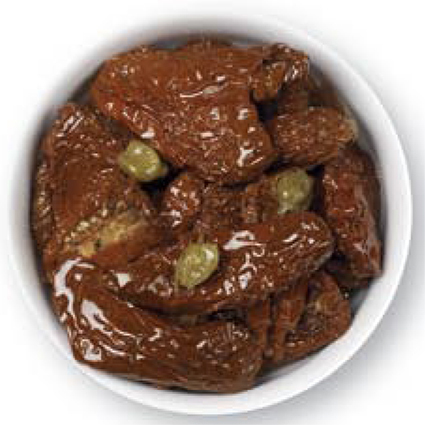 Italian sun-dried tomatoes packed in oil. Add these sweet and tart treats to pasta salads, green salads, or sandwiches. 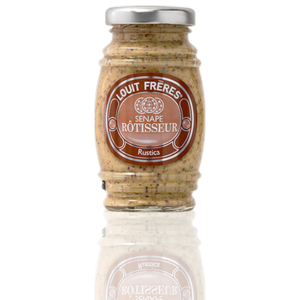 After almost 200 years of making mustards, Louit Frères is one of France’s most loved mustard and condiment brands. All their mustards are made from the highest quality ingredients. The distinctive aroma of mustard is volatile after opening the jar, so it is best to avoid containers that are too large. 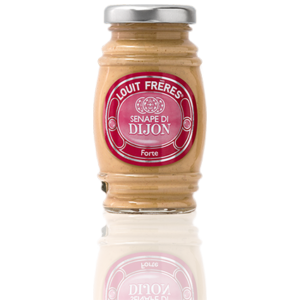 This is why the Louit Frères mustards produced today are packed in characteristic 130-gram barrel-shaped jars. 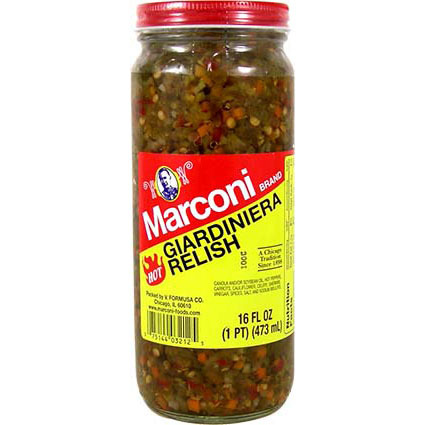 Premium quality Italian style pickles and Condiments. Produced in Chicago with over 75 years of experience. 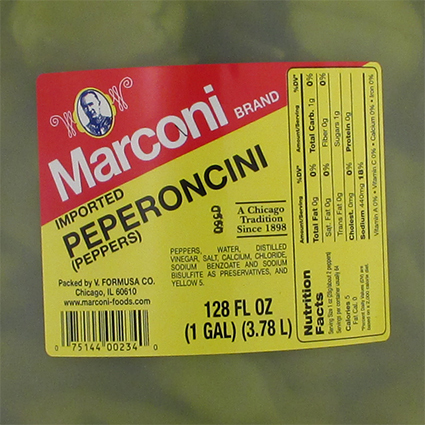 Pepperoncini are an excellent addition to salads, sandwiches and antipasto platters. 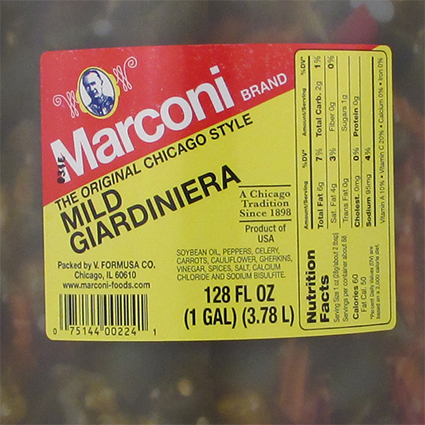 Premium quality Italian style pickles and condiments, produced in Chicago with over 75 years of experience. 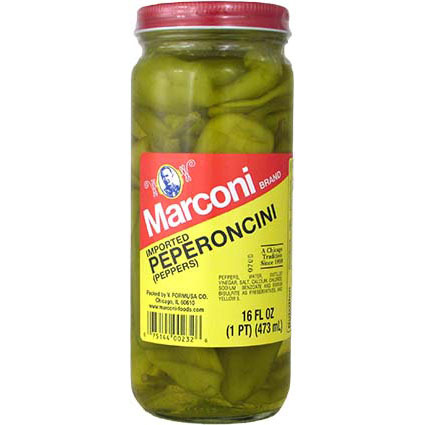 Pepperoncini are an excellent addition to salads, sandwiches and antipasto platters. 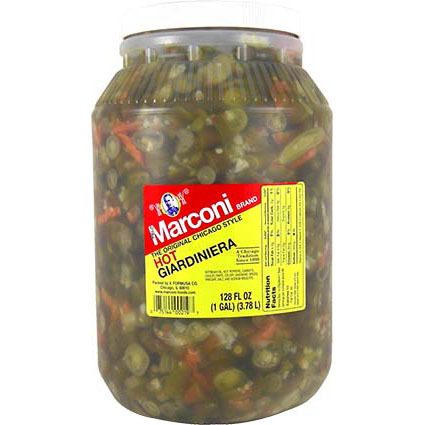 Premium quality Italian style pickles and condiments, produced in Chicago with over 75 years of experience. 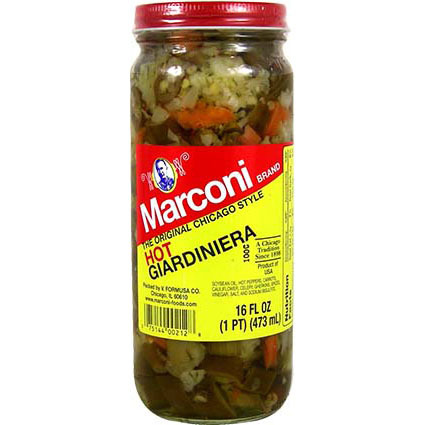 Giardiniera is an Italian pickled vegetable medley made popular by Italian immigrants in Chicago. 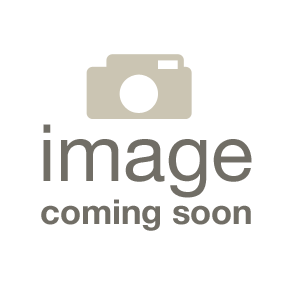 The antipasto is either mild or hot, and typically enjoyed on the Chicago classic, the Italian beef sandwich. Premium quality Italian style pickles and condiments. Produced in Chicago with over 75 years of experience. 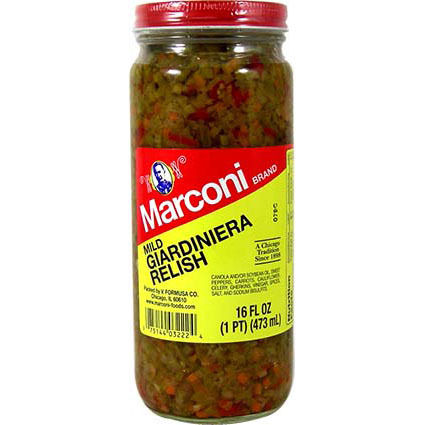 Premium quality Italian style pickles and condiments, produced in Chicago with over 75 years of experience. 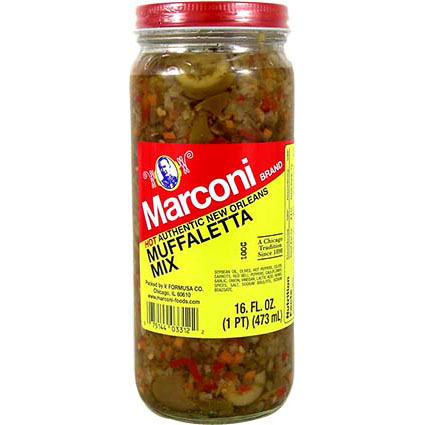 Typically more mild than Giardiniera, Muffaletta is also a pickled Italian vegetable medley. Instead of Chicago, New Orleans is where muffaletta enjoyed its rise to prominence, as the topping on the New Orleans sandwich with the same name. 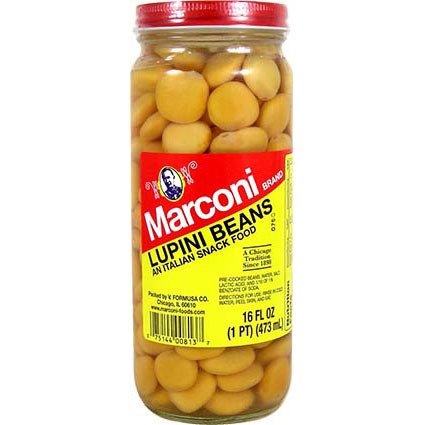 Lupini beans are a classic Mediterranean snack that pairs great with a cold beer. The pickled beans can be eaten with skin on or off, it's up to you! Premium quality Italian style pickles and Condiments. Produced in Chicago with over 75 years of experience. 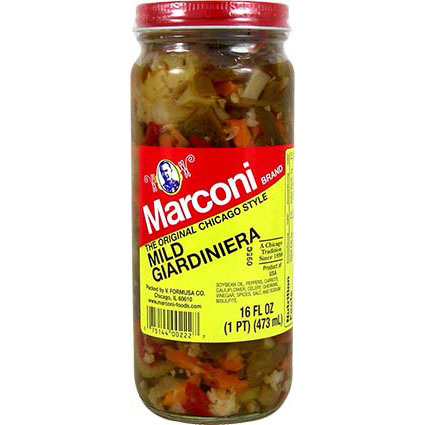 Giardiniera is an Italian pickled vegetable medley made popular by Italian immigrants in Chicago. 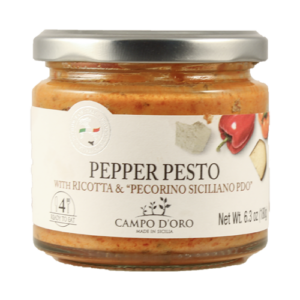 The antipasti is either mild or hot, when mixed with sport peppers, and typically enjoyed on the Chicago classic, the Italian beef sandwich.